If you’re like most dog owners, you love your pet like it was part of the family. You probably also spend a good amount of time thinking about how to give it the best care possible. Sometimes, this can be rather difficult though. For example, if you work during the day and there’s no one at home, you may be worried that your dog isn’t getting enough attention and doesn’t spend enough time going out and being active. Perhaps you try your best to get home during the day to let them out, but this is hardly enough activity for a dog, no matter what breed or age they are. This is why dog daycare in Miami is becoming so popular. 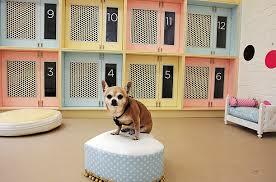 With doggy daycare, you’ll have a professional staff taking care of your animal at a clean facility. Unless you specific otherwise, having other dogs around means that your furry friend will have lots of playmates as well. Not only does this ensure they get plenty of exercise, but you may also enjoy that your pup will be nice and tired by the time you get home. If you work long hours or simply don’t like being away for the duration of your workday, consider daycare for your dog.